Nestled between Mountain View and Mammoth Spring, Melbourne, Arkansas is home of Century Flooring Company. The forests abound with game from deer to turkey, and the lakes and rivers produce record-setting bass, walleye and trout. 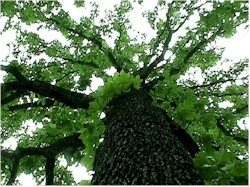 This location offers the hardy climate, fresh water and mountain soil that grow some of the best oak trees available. Century Flooring selects quality wood, and the care continues from there. Century has a lengthy and rigorous drying process in a spacious drying yard. The yard is twice the size of comparable mills. The extra space allows generous air flow for thorough and even drying. The yard is graded, well-drained and vegetation free to keep the drying process effective. The Century Flooring plant has state-of-the-art kilns to complete the drying process. Modern computerized equipment monitors drying , selection and cutting processes. Century's care for the environment doesn't stop with trees. The Century plant has its own power supply, a 3 megawatt generator that is powered by 9,100 pounds of sawdust by products per hour. The ash from this burn is sold to charcoal briquette companies. This process ensures that no wood or by-products go into a landfill. There are many other reasons to choose Century Flooring, beyond these three paragraphs, such as micro-beveling, dye stains, UV cured aluminum oxide finish, quality control, shipping procedures or packaging. All of these topics add to the number of reasons for wanting Century Oak flooring in your home.